A former footballer, ex-Roadie, Scuba Diver, and Sky diver. Ranjit Bajaj has donned various hats in his life and can truly say 'been there, done that'. He launched Minerva Academy FC in 2015, which played in AIFF's 2nd Division League and went on to win the Western Conference and Finished Runners-Up in National Finals. And now, his club, renamed as Minerva Punjab FC, will be the flag bearer of North Zone of the country in India's top Football League, I-League, after being granted direct entry by AIFF. In an interview with THE INDIAN LEAGUE, Mr. Ranjit Bajaj speaks about his vision about the club and how they will approach the upcoming season and the future ahead. 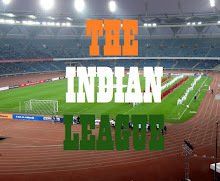 THE INDIAN LEAGUE: How does it feel to have your team promoted to I-League after just one year of playing professionally? RANJIT BAJAJ: It feels like dream come true. Our hardwork has been rewarded and we are ecstatic about the same. We tasted success in our very first season, when we won the Western Conference and ended up Runners up in the final round beating the likes of Mohammedan Sporting Club and Dempo SC on the way. We are confident and would look to express ourselves. TIL: What motivated you to start this club and invest so much money in it when the current scenario in Indian Football does not guarantee much return on that investment? RB: When you are passionate about something, you get driven into it. I myself being a footballer felt the need to do something and having got the unique opportunity to run a club, I jumped on it. Punjab desperately needed a football club with the youth also swaying away ever since the exit of JCT from the I-league. We wanted to contribute to football and Punjab which led to the beginning of Minerva. While I have invested whatever I could, I also want to prove that you don't need big money to run a successful and thriving football club. We are looking at the long term and aim to make to club sustainable through an effective out development program. We don't go for big names and star players, we are investing in the youth and that is an investment which will bring guaranteed returns in the coming years. TIL: With less than a month given to assemble a competitive squad for I-League, what is the approach of the club to build a squad in such a short period? RB: We had some really talented boys play for us who also helped us find success in the 2nd division and we retained quite a few of those. In addition, we identified players who suit our philosophy and would strengthen the team and managed to sign most of them. We will be releasing our singings on social media in the coming week. We have got a few players straight in from the ISL and a few from current and previous I-League clubs. We believe we all well prepared for the challenge. TIL: There has been a lot of buzz on the social media about the club’s tie-up with various international clubs like West Ham United FC and Bolton Wanderers of UK, Atletico Paranaense of Brazil etc. What would be the nature of these tie-ups and what is the club is expecting to gain from them? RB: Our tie-ups are technical cooperation which are mainly built on exchange programs. We’ll have a few of our players head their way out for exposure while we get some exciting talent from these clubs play for us. We are plan of brining in some good coaches for short stints with our players. This will help develop players and Indian football in addition to raising the profile of the sport in the country. TIL: The club has recently announced Colm Toal as the Technical Director. What will be his role in the team and what are your expectations from him? RB: His role will be to setup and develop a long term plan for Minerva in our stride to develop football. He would look after all teams and work on player improvement and also, scouting. He’s been the man under who’s tutelage a lot of Indian players have come through and we expect the same. He’ll also look after the senior team which has quite a few players who have played under him and he would be responsible to bring the best out of them. Even though he’s still packing his bags for a trip here, our coaches are in constant touch with and exchange information and videos daily. TIL: Many teams in the past though had very good professional set ups but failed to capture fan support and closed operations in hard times. What will be your club’s vision to avoid these? RB: We are looking to tap the younger section and hence, looking at targeting schools and colleges. We would be giving away tickets to each one of them to be a part of the resurgence of football in Punjab. This group forms a large section of the population and hence, would help us fill up the stadium to a large extent. We also have a strong alumni fraternity of our parent institution Minerva Academy all around the country and they would be gunning for us. We are also planning some on ground and radio promotions in Ludhiana closer to the home games. TIL: What will the club do to engage fans and bring them to stadium to support the team week after week? RB: As mentioned earlier, we wish to tie-up with schools and colleges and get that enthusiastic bunch get a taste of top tier football, live at the stadium. In addition, we would also get celebrities, singers, etc. to help create a festive atmosphere, prompting fans to come to the stadium repeatedly. We also plan to engage the fans on social media with player interviews, candid moments, match day contests, cheer contests etc. TIL: With AIFF’s plan of demoting I-League to 2nd Division with ISL taking its place with no room for promotion for atleast next 7 years. What are your thoughts on that and what will be the club’s strategy in such scenario? RB: We are thrilled with the progress of Minerva Punjab FC and are focusing on the task at hand i.e our I-league Debut. We are honoured to be rubbing shoulders with the best clubs in the country and will be focused on putting put a good show. No one is sure about what will happen with Indian Football but all we know is that as long as we keep playing quality football and improving, anything is possible and the sky is the limit. We will take things as they come and who knows we might be pushing for an entry into the ISL as well. TIL: Eminent personalities like Yuvraj Singh, Harbhajan Singh, Ranvijay Singh and Gurpreet Singh Sandhu have weighed in their support for MPFC’s elevation to top division. Can the fans expect some of these personalities at stadiums on match days? RB: For sure. They are all behind us and will root for us. They have also promised to be at the stadium whenever they can. Fans are likely to see some famous faces in the stands at every home game in Guru Nanak Stadium - Ludhiana. TIL: MPFC will make their I-League debut on January 8 in an away match against Chennai City FC, who themselves will be making their debut. How is the team preparing for their inauguration in the big league? RB: We believe we have got a strong squad in place and training hard. We are looking to go all out and would be looking at nothing less than a win. Not a lot is known about Chennai City and we are not taking any game lightly, we will be cautious but eager to impress in our opening match. TIL:In the end, what will be your message to fans of the club’s not only from Punjab but across India?